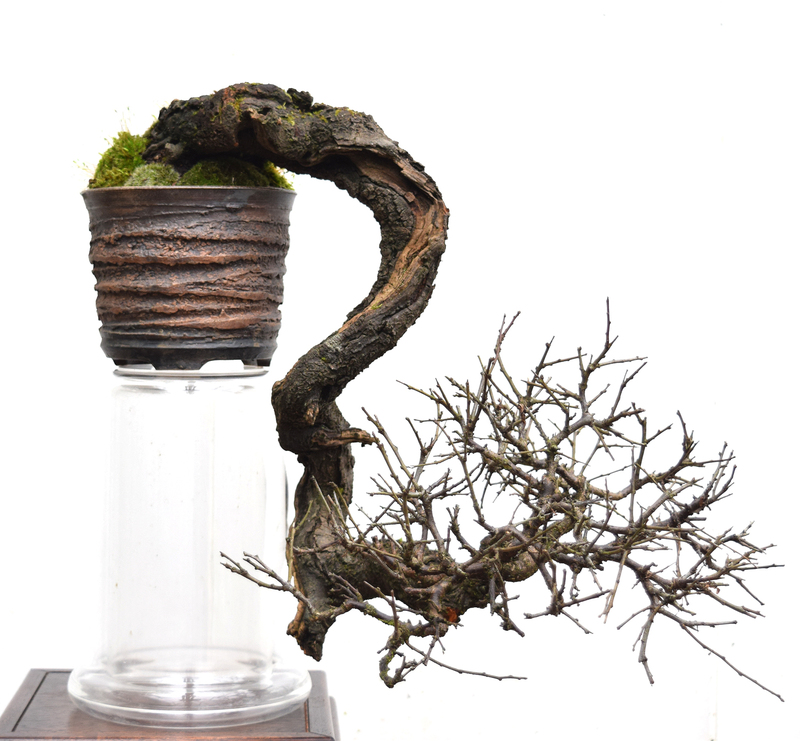 Occasionally the banner at the top of this blog shows this cascade Prunus Spinosa in full leaf on a Barbed Wire stand. When it was exhibited at The Noelanders show on 2012 it cause a wee bit of a stir. That photo is as the tree looked two years ago. A year later I transferred the tree into a larger pot to let the roots run free and build more vigour yet the opposite happened, I slowly lost vigour in the bottom branch. Another year in the pot to see if it would pull back, it did not, the top went from strength to strength… So here is the tree repotted, at a slightly different angle and without the bottom branch. The branches that remain will not be cut back until the tree flowers in the next couple of month; they are a bit random as I left the tree to recover vigour. I will need a rather special table now as the trunk slightly undercuts the pot! 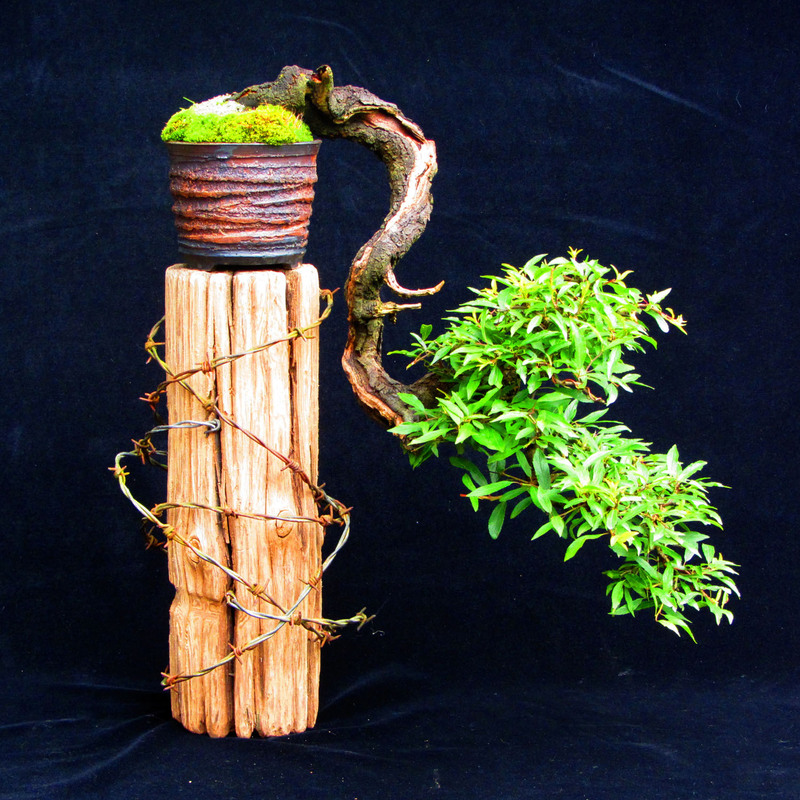 It may be that you have cascaded a tree that has not grown that way for most of it’s life? 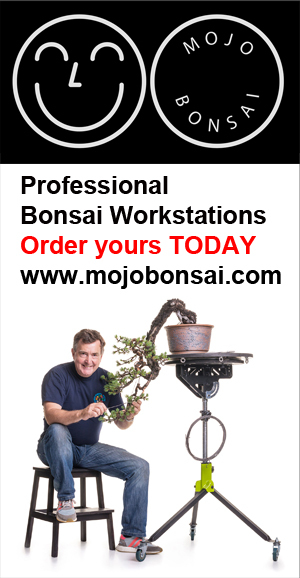 Hi Tony please don’t forget at UK Bonsai Tables we can build to your design from most types of timber and finishes. We could also design and cost for one if you wish. Tony, do you have any idea about why the tree dropped the lower branch? how were the roots?